Our vision of what the planet Saturn would look like. Well not really. 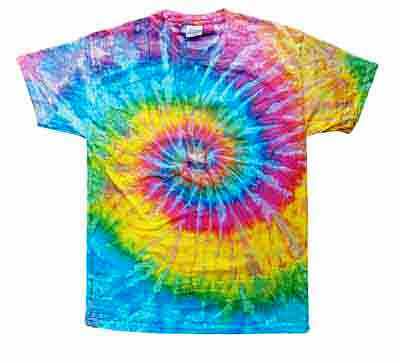 Another variation on our traditional spiral tie dye t-shirt. High quality heavy weight cotton T-shirt that is 100% Pre Shrunk/Washed Cotton with colored fiber reactive dyes that stay bright and vivid for years.